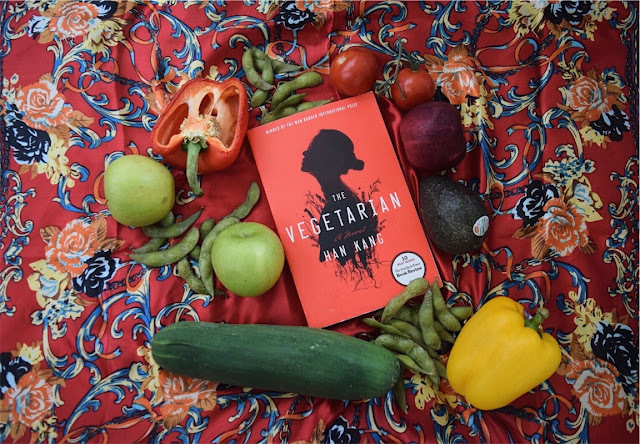 Image description: Copy of The Vegetarian by Han Kang on the background of a red floral silk scarf, surrounded by fruits and vegetables. Set in South Korea, The Vegetarian follows Yeong-hye, a woman living a generally ordinary life, until her nights become wracked with nightmares. 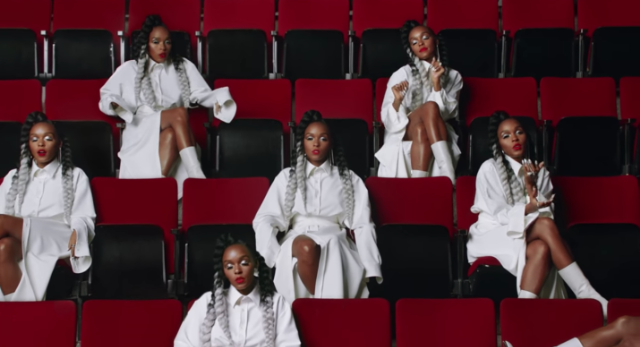 In an attempt to purify herself and her mind, she transitions to a more plant-based lifestyle, a “shocking act of subversion” that causes a schism between her and her family. Yeong-hye’s journey of discovery, tragedy, and metamorphosis is depicted beautifully by Han Kang’s talented storytelling. I bought and read this book as I was transitioning into a more plant-based lifestyle myself, so maybe that’s why I was attached to it as I was. I thought that Kang did an amazing job of discussing society, obedience, and resistance. Yeong-hye is expected to be obedient and follow the unwritten strictures imposed upon her, and changing her diet is a small but meaningful rebellion. The Vegetarian is a tough read, necessitating trigger warnings for abuse, violence, sexual assault, and eating disorders--I definitely needed to take a step back while I was reading. However, the prose is gorgeous, the plot’s engaging, and the characters are fascinating. In only 192 pages, Kang manages to draw readers into Yeong-hye’s world and doesn’t let them go until the end. There’s absolutely no wonder that Kang won the 2016 Man Booker Prize for her work. I would highly recommend reading The Vegetarian while also urging potential readers to be very aware of the subject matter. If you decide to give it a shot, I hope you enjoy it!